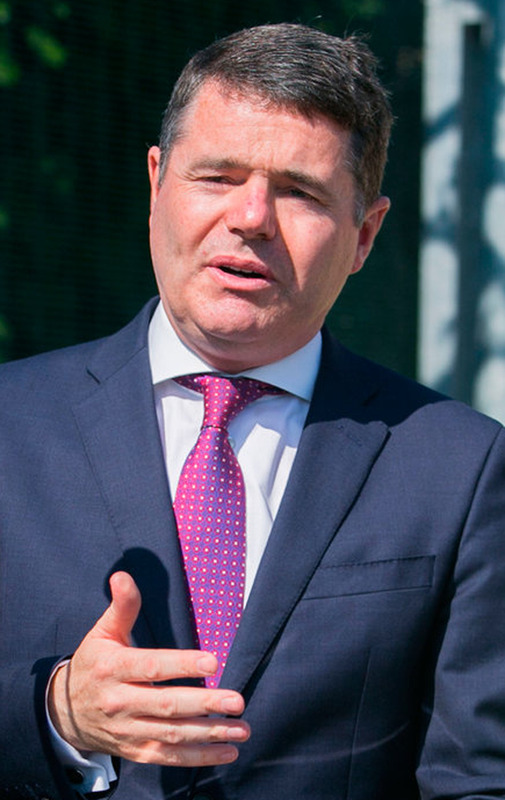 Small tax cuts every year are the best way of rewarding workers and ensuring the economy stays on course, Finance Minister Paschal Donohoe has said. The minister has indicated that there will be no significant tax giveaways in October's Budget. Instead, he will set out plans to gradually reduce income tax each year. "I'm struck by the view in relation to the gradual approach we are taking in relation to tax reform or tax reduction, where many would claim that because of the approach being adopted, which is a gradual one, that is a reason for not doing anything at all," he said. Mr Donohoe asked patrons at a conference hosted by the Government's think-tank, the ESRI, to consider the alternative to a slow and steady approach to tax cuts. "An alternative to gradualism or to doing nothing at all is to do a huge amount at once. We've been there before. Look how that turned out for us. "So gradualism, in terms of public expenditure and in terms of tax reform and reduction, I believe, is good and the most sensible approach to take to build a resilient future," Mr Donohoe added. He said that well managed economies were "characterised by durable improvements in living standards rather than the 'all-or-nothing' approach that has been a feature of Irish economic history, especially in more recent times". It comes as Taoiseach Leo Varadkar and Fianna Fáil leader Micheál Martin are set for a showdown over the extension of the Government's lifespan within the next fortnight. Both sides are refusing to budge from their positions on when formal negotiations about the extension of the confidence and supply deal should begin. However, they have agreed to sit down to discuss priorities for Budget 2019 and "review" the arrangement so far. Mr Martin said yesterday that he did not understand the logic of the Government's demand that an extension should be agreed before the Budget. He has promised "fiscal stability for the next 12 months" by facilitating the passage of a finance bill and social welfare bill through the Oireacthas later in the year. Mr Varadkar has said he does not want to bring forward a third Budget under the 2016 agreement unless he knows the Government will survive long enough to implement it. Speaking to reporters yesterday, Mr Martin said: "We probably will meet in the coming weeks on that. "But again, I'm very clear that we are willing to engage on Budget negotiations and we will. "We are very clear that we want to honour and fulfil the confidence and supply agreement. We will do that. That provides for a review in November." He reiterated: "I anticipate the Budget will be first. The confidence and supply earmarks November for the review." Responding to those remarks, one Government minister told the Irish Independent: "That won't work for us." Another claimed Fianna Fáil was "playing games" but should not underestimate how strongly Fine Gael believed that a renegotiation of the confidence and supply agreement needed to be tied down in advance of the Budget. Fine Gael is holding a string of selection conventions this month. Mr Varadkar's own convention in Dublin West took place on Monday night. He told delegates the hope is to have all conventions completed by the end of July. "That's not because we're planning an early election, but it does mean we intend on being prepared for it," he said. Mr Martin said he did not have a "specific date" for when he wanted all his candidates picked.